In this action thriller, terrorists hijack a plane and demand the release of their leader from American custody. When the full details of their terrible plot come to life, two extremely capable military men are called on to stop them. Kurt Russell, Steven Seagal, Halle Berry, Oliver Platt, David Suchet and John Leguizamo star. 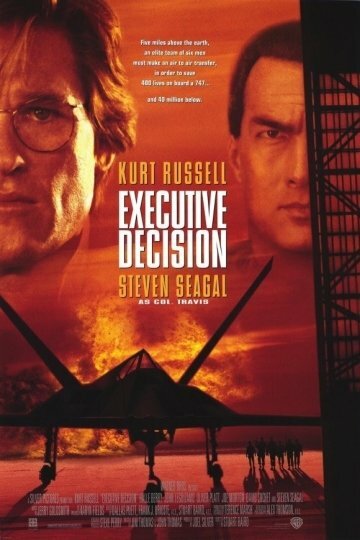 Executive Decision is currently available to watch and stream, buy on demand at Amazon, Vudu, Google Play, FandangoNow, iTunes, YouTube VOD online.